McDONOUGH, GA. — When you’re the son of a NASCAR Grand National racing great—like Brett Moore is—you’re bound to end up with a passion for the industry and a nostalgic appreciation for the vehicles that define the sport. Especially if your dad is Bob Moore and those vehicles include a 1959 Plymouth and a 1956 Ford. 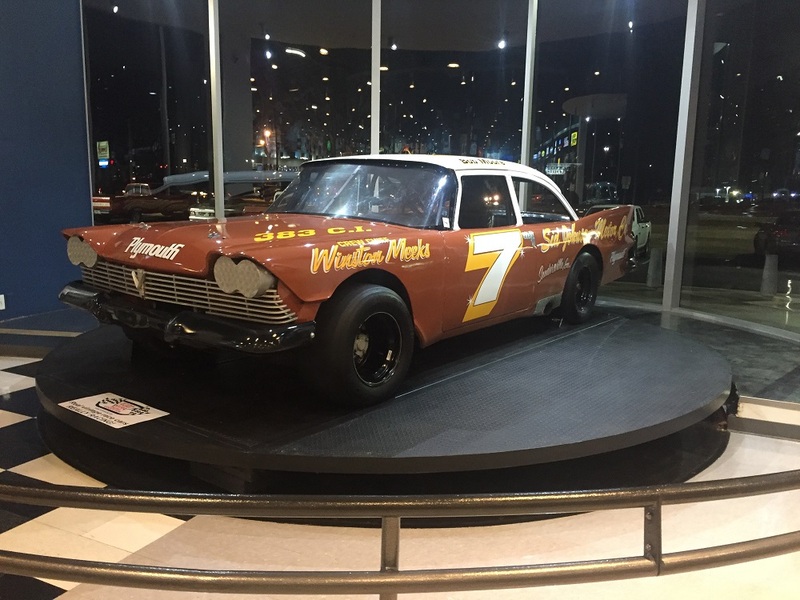 After a racing career that lasted from the early 1960s to the mid 1980s, Bob Moore and longtime friend and team racecar builder, Stewart Seymore, purchased and rebuilt several of Moore’s Grand National and short track dirt cars. 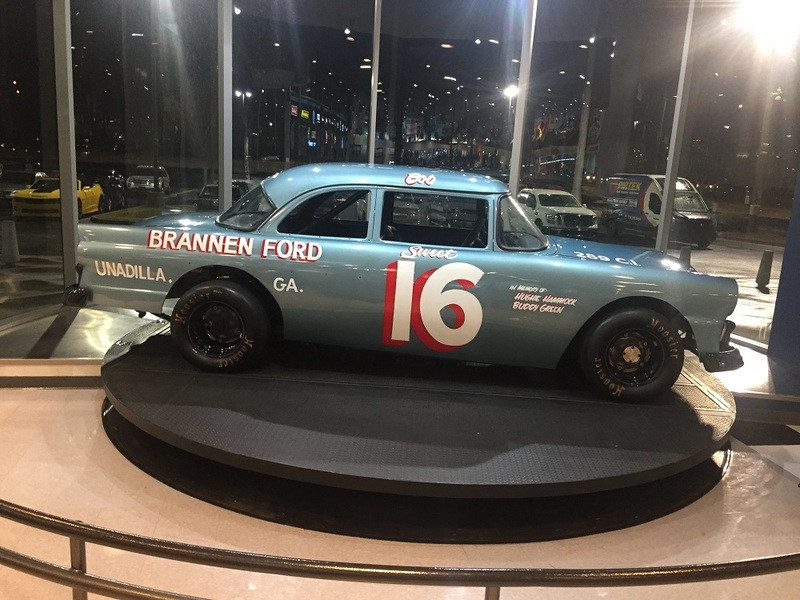 The 1959 Plymouth and 1956 Ford were favorites among the eight cars the duo rebuilt as a tribute to the many people that helped Bob Moore during his racing career. The “Big Plymouth” with its 383 c.i.d. 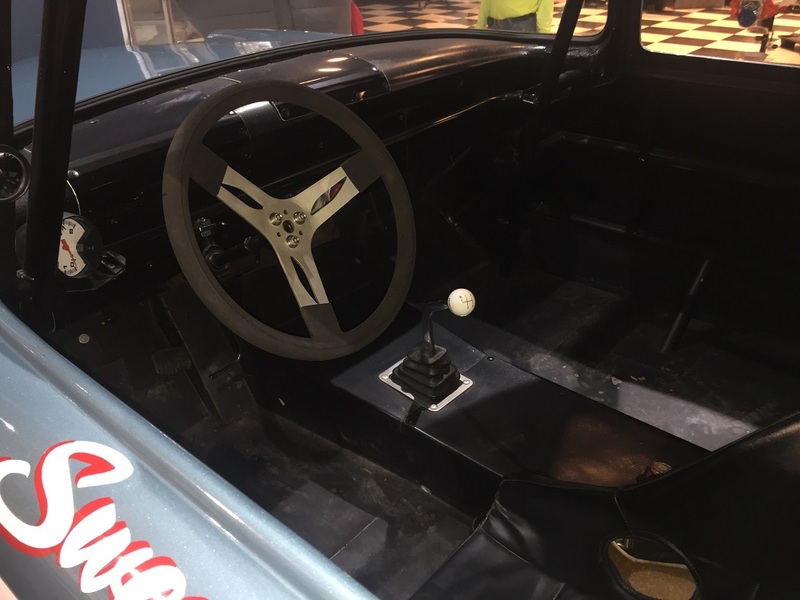 big block was also apparently a favorite of racing legend Richard Petty, who called it “one of the fastest racecars in the South in its time,” and later penned his signature on the driver’s side roof in honor of the owners and drivers that built it. Petty was one of many big-name competitors that raced against Bob Moore in his 20-plus year career that included 10th-place finishes in the 1968 Dixie 500 and the 1968 Augusta Speedway 250. 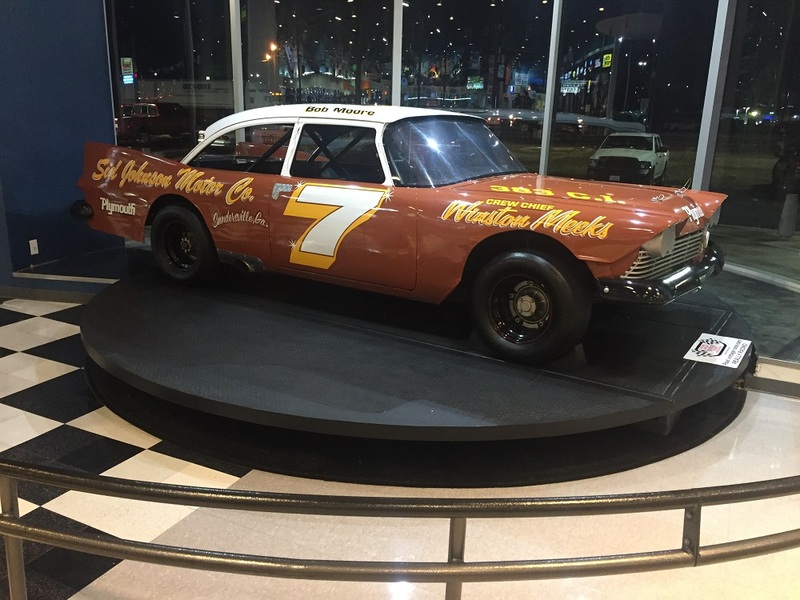 Moore also raced with motorsports icons Bobby and Donnie Allison, Cale Yarborough, Buddy Baker, David Pearson, and Wendell Scott. 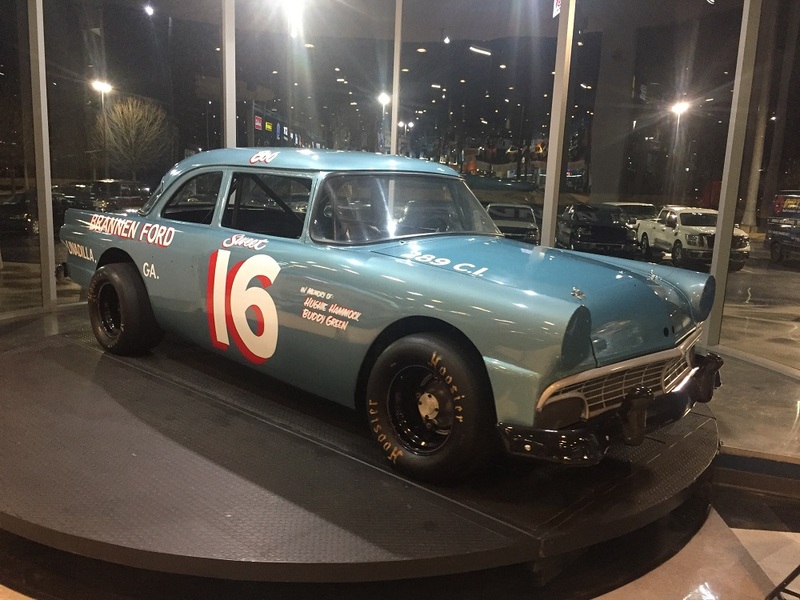 The 1956 Ford, or as Brett Moore jokingly refers to it, the 55.5, was originally owned by Buddy Green and Hughie Hammock, and rebuilt in a style that makes determining an exact model year a topic of endless debate. The rebuild also included installing a replica 289 c.i.d. Ford V8 motor and painstakingly exact hand-painted lettering and numbers. Brett Moore continues to honor the legacy of his father as a member of the National Vintage Racing association—an organization founded by Bob Moore and Stewart Seymore in the mid 1990s. Then, hang on and go. 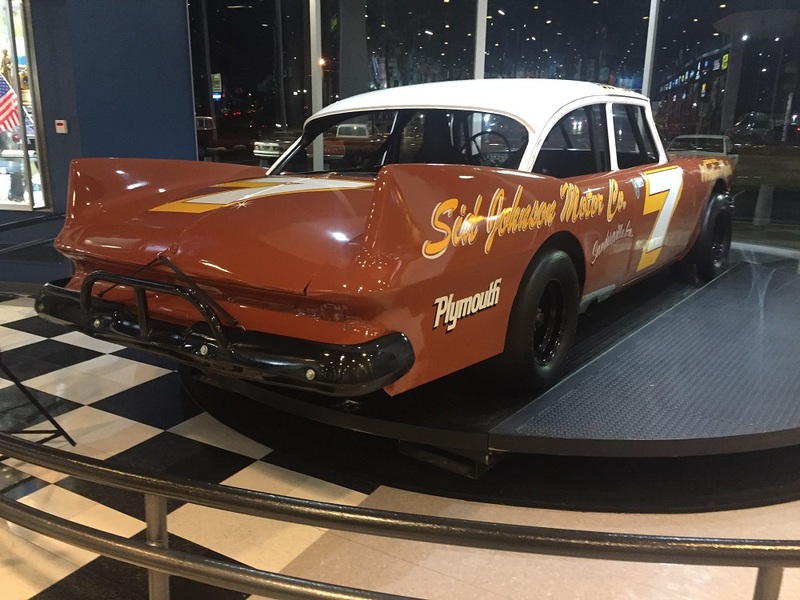 Here are a few more photos of the vintage racecars currently on display at the Summit Racing retail store in McDonough, GA.
For more information on the National Vintage Racing Association visit NVRAracing.org or connect directly on the NVRA Facebook page. I have seen the cars and both cars are worth seeing. I really love the Plymouth the best due to it has home town roots. I remember Sid Johnson Motor Co. from Sandersville GA. Sid Johnson always drove the fastest cars and said that if anyone beat him that they would not out run him the next time. He was a great street racer back in the day.